iPhone X is Apple’s best phone, would you expect iPhone 9? All these years, it seems, Apple’s been holding something back. There are, after all, certain real-world applications one must take into account: mass manufacturing and pricing being the big two. On the iPhone’s 10th anniversary, Apple asks the question of what happens when you throw all that out the window? 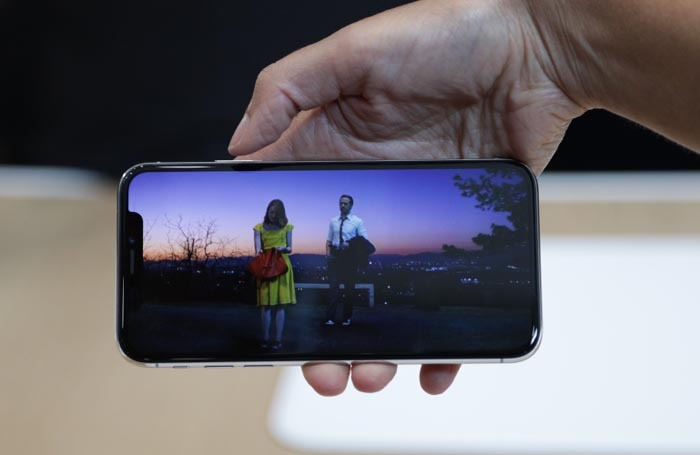 The answer is the iPhone X.
It’s the new flagship iPhone that will be released in November, weeks after the iPhone 8 and iPhone 8 Plus go on sale on September 23rd. Apple says you’re supposed to pronounce the iPhone X as “iPhone ten,” and it’s designed to mark 10 years of the iPhone. While the iPhone 8 is an iPhone 7S in all but name, the number jump across all the new iPhone models means we’re now officially missing an iPhone 9. The iPhone X naming helps position the device above the regular iPhone 8 without explicitly labeling it “iPhone 10,” because most people are simply going to call it the iPhone X and not pronounce it as iPhone ten. Apple knows this, and the company only uses the X logo in its promotional materials. The iPhone X finds Apple accelerating toward technologies it’s clearly been dancing around for a number of years. The display is OLED — something the company calls “Super Retina.” This is Apple’s first play at edge-to-edge, completely ditching the home button in the process. The X is the best iPhone, no questions, and it’s quickly jumped to the top of the best phones, period. When you buy the iPhone X, you will expect iPhone 9 or iPhone 10?